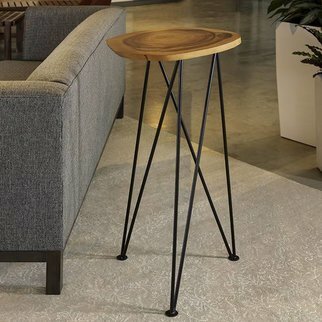 A low-profile Acacia end table on a metal base with modern lines. 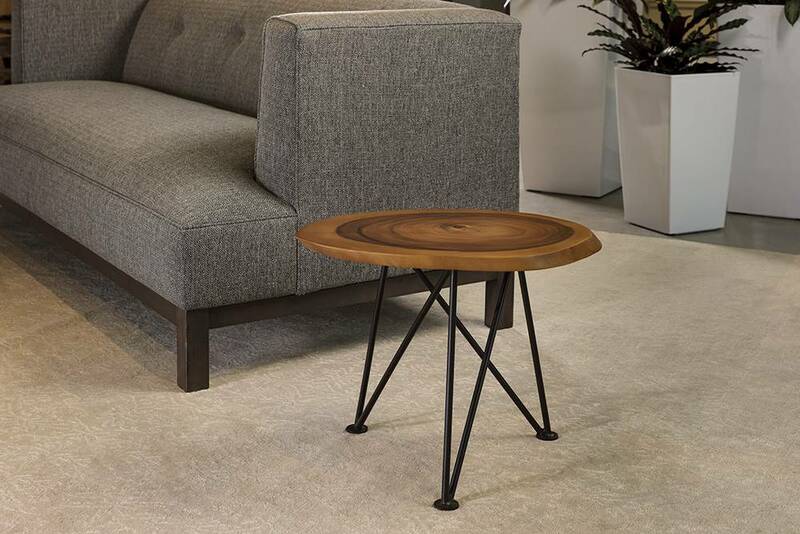 This diminutive table features the cross-cut of an orchard salvage Acacia tree atop a clean-lined black steel base. This breezy table is an easy way to add an element of the outdoors to any room. Each table is unique to the tree that came before it and no two are alike. Tables are roughly 21-inch ovals at the top, standing 17 inches tall on the sturdy metal base.